Reading is great and all, but sometimes we feel we need a higher level of engagement in order to grasp the subject. For one, the hectic everyday lives most of us lead and the stressful environments we find ourselves in often limit our reading to those few minutes of spare quiet time we get when we’re in our beds. That’s where YouTube videos come in: not only do they engage you more thanks to the video content, but they also let you plug in your headphones and shut out the world around you. Business marketing isn’t exactly the most popular subject YouTubers like to vlog about, but sifting through relevant content can still be difficult, especially if you’re new to the field. Here are 4 leading business marketing YouTube channels that explain various areas of business marketing in a clear and coherent way on top of providing frequent and relevant updates. https://www.youtube.com/user/localmarketingsource: A single look at this channel might render you awestruck as you ask yourself: how can a single person run such an extensive channel full of useful information? We don’t know how Scott Gallagher he does it, but we know his channel has been one of the best business marketing resources on the web for years. Scott’s content is abundant yet straight to the point – videos are grouped based on the subject and there’s also his vlog that gets at least a couple of new entries every month. This channel specializes in marketing tips and techniques for owners of smaller local businesses and how they can impact their area, although anyone can learn from it just the same. https://www.youtube.com/user/cguerrillamblog: This channel doesn’t have as many resources as some others, lacks specific information and hasn’t been updated in a fairly long time. So why should you pay it a visit, much less stick around? Creative Guerrilla Marketing rounds up the most creative commercials of the past years(mostly by big companies) and examines what is it they do to get under people’s skin. If you’d like to see how the big boys do it when they’re at the top of their game or could simply use some inspiration for your next campaign, this channel is a great place to relax while simultaneously learning new things. https://www.youtube.com/user/KeuilianInc: Few business niches of present day are as competitive as fitness: all you need is big muscles to play the role of a personal trainer or a bunch of powder to sell supplements. It stands to reason, then, that anyone who makes it in this field knows a whole lot about marketing, and Bedros Keuilian is one such individual. His videos advise viewers on every aspect of business marketing(fitness or non-fitness related) and also include some helpful life advice to boot. https://www.youtube.com/user/AMAmarketing: A true professional effort, American Marketing Association’s YouTube channel will introduce you to some leading figures in the field as well as give out some impressively detailed insights into the day-to-day grit of marketing your business. The videos are very varied and can be enjoyed no matter your mood and current state of mind, ranging from interviews to helpful additions for your website that can greatly improve your professional efficiency. You might have a good product, but are you actually able to sell it? This is the question that should be asked of every business owner regardless of the size of their business and the type of service they offer. Without proper marketing in a large place like Florida, your competitors might beat you out of the game and relegate you to working only with long-term customers. With the internet getting more and more popular each day, marketing is done online now more than ever. To successfully market your local business online and get people knowing and talking about it, you’ll need the right strategy, and to have the right strategy, you’ll need to know how to make use of the tools at your disposal. Google AdWords: Google is how customers looking for your type of business on the web will reach you, so it stands to reason that its AdWords feature should be the first on the list (although not necessarily the most important one). After you launch the campaign, Google will show your paid-for ad at the top and/or bottom of the first page of search results(based on keywords you chose yourself). What’s great about AdWords is that you can have two listings of the same website on the same page of results and only pay for visitors that click on the paid-for link. What’s not so great is the payment and its type: Google will charge you on a per-click basis and couldn’t care less whether someone left your site after 10 seconds or became your customer. To know how much you’ll pay, ask yourself the following: how many Florida businesses of the same kind use the AdWords service? If the answer is “a lot”, you better have a good budget. Facebook: It might sound creepy for your local business to be on the timeline of complete strangers, but it’s actually a great way to let people know you exist. Everyone has Facebook these days, so you have the chance to have a greater impact using Facebook ads than those on Google since the former also lets you include a picture. Facebook charges on a per-view basis (called impressions) – you’re generally charged for each thousand views no matter how interested the people are in the ad. While this might sound brutal, Facebook ads tend to be much cheaper than AdWords ones. Backlinks: We mentioned you want people talking about you – aside from getting more recognition, this also helps create more backlinks to your site, which will improve your search engine standing and make Google more likely to show you on the first page of a variety of searches. The best backlinks are those that Google likes most – coming from content-rich sites where actual people talk about your product. These are the ones that will improve your standing the most and also stand to attract a few customers on their own. Social media presence: If you’re a business owner, you hardly have a lot of time to spend on social media, but a few extra minutes (or hours) can go a long way towards establishing you. For example, you can use hashtag wizardry and a couple of shout-outs by people with many Twitter followers to great benefit – people will see you in their feed even if they weren’t looking for your service and might remember it in a future time of need. Business marketing of today is all about having a strong online presence, so it’s not surprising that there are business marketing websites that tell you how to market your business. Of course, they also utilize business marketing themselves to beat out other websites that offer business marketing advice… confused yet? As always, finding the websites that give you the content without wasting your time isn’t easy. Here are 3 great marketing websites you can follow for regular updates on how you can better spread your brand name. http://www.marketingdonut.co.uk: The Marketing Donut is similar to an actual donut: it looks good, feels great and you keep coming back for more. Unlike actual donuts, however, MarketingDonut won’t fill you with stuff you don’t need. This site is full of useful information regarding each facet of marketing your business online: advertisement, website running, updates, leads, conversions… The design is fairly straightforward without unnecessary clutter, and it’s clear that the site isn’t a profit-based one meant to have you clicking on celebrity-based ads. Every article is written by an experienced business marketer, and the choice of articles is so great that virtually no question you have can be left unanswered. But perhaps the best side of an already-great site is its blog: it’s updated very frequently and features many in-depth explanations of novice and advanced marketing concepts. Bookmark this site and check it often, as it’s sure to keep opening your eyes in regards to marketing. http://searchenginewatch.com/: It’s all about the search engines, isn’t it? SearchEngineWatch seemingly focuses on SEO, but actually deals with every part of running a business with an online presence. This site is a tremendous resource for every entrepreneur and business owner regardless of their knowledge and level of marketing expertise: if you just realized the importance of online marketing and have lots of newbie question, SEW will round up everything you want to know in a way that’s easy to read and stuffed full of useful info. On the other hand, if you’ve been in the game for a while but want to take the next step and get more recognition and clients, this website will teach you tricks that will make you reluctant to admit you called yourself a skilled marketer before knowing them. Like the previous site, SearchEngineWatch is frequently updated, sometimes several times a day, and nearly every single update is as informative as anything else on the site. http://www.entrepreneur.com: It might seem weird that a site named ‘Entrepreneur’ is the last on the list. Because of its size, Entrepreneur.com sometimes won’t provide as many useful and in-depth insights as the previous two websites do, since it has to cater to a larger visitor base. Despite this, it’s still a great site to check for any business marketer who can navigate it, especially if you are new to the whole thing. Make sure not to get lost in some of the more journalistic articles, though: browse only http://www.entrepreneur.com/topic/marketing and http://www.entrepreneur.com/topic/online-marketing if you’d like to get the most relevant content that the website has to offer. Marketing yourself well takes a lot more than just using some advertisement services. The best marketers and successful businesses know how to get inside the heads of people and turn them into customers. From catchy slogans to attractive logos to persuasive arguments, the ways of accomplishing this are many and are best used in conjuction. Marketing books are sort of going out of style with all the blogs and Wikipedia articles readily available that often offer more condensed and relevant information. But since business marketing takes a lot of knowledge and savvy, you’ll want to learn from the very best, which means you’ll have to curl up with a good book (or eBook reader) even if it’s against your wishes. Here are 3 top business marketing books that can help any business make a bigger name for itself and create something that can last for a long time. 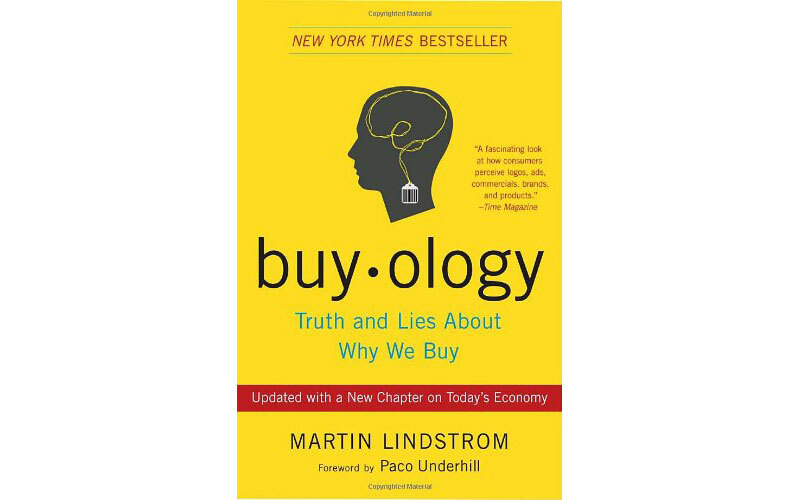 Buyology: Truth and Lies About Why We Buy by Martin Lindstrom: It’s always best to start with the basics, and you can’t get more basic than how human minds work(paradoxically so, since they are also incredibly complex). In his bold and somewhat-abstract book, Lindstrom tries to explore the different mental processes that urge someone to buy something, including something they might not need. Lindstrom also explores how you can not only convince people they need your product but also get them to keep buying it over and over regardless of its usefulness (Coca Cola and cigarette brands are some notorious examples of this). If you’re concerned with the abstract parts of marketing and would like some insight into them before delving into the specifics, don’t skip on Buyology. Influence: The Psychology of Persuasion by Dr. Rober Cialdini: In some ways, Influence is as basic and abstract as Buyology, but is also a bit grittier – it helps explain how you can improve your results by altering your approach in ways that are often small. Cialdini tries to answer a good question: why do some people always seem to get their way? He also dissects why some salesmen are much more successful than others (it’s not just about their passion). This book might help you shape your interactions with would-be customers in a way that will all-but-guarantee their conversion. Guerrilla Marketing by Jay Conrad Levinson: This book is incredibly impressive for one reason alone: it actually becomes more useful and relevant with each passing year rather than the other way around. When it was written 30-some years ago, business was a lot more about being big than being small and marketing wasn’t really seen as a thing by smaller businesses. Levinson was a pioneer in the field as he attempted to empower these small businesses by describing how they can market themselves using an important and scarce tool: creativity. Nowadays, anyone can gain a lot of popularity with minimal means, making Levinson’s book all the more useful – you have a lot more competitors to deal with, and none of them need a lot of means to surpass you. If you’re the owner of a small business wanting to become a recognizable brand, Levinson will explain how you can use your creativity to get better results than big advertising bucks would net you. Johnny G will get your marketing sizzling… email me at sizzle@realstudio-n.com and I’ll fire up some goodness for your biz. Oh yeah, the free stuff is here. How’s it going? My name is Johnny G. At least that’s what my clients call me. I’m a marketing guru and like to write about all things marketing. If you have a marketing question, hit me up on my contact page. I’ve been doing marketing for about 14 years and have experience with both traditional and online marketing.